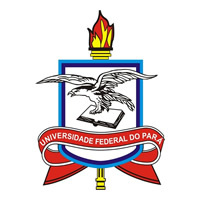 Universidade Federal do Pará (UFPA) é uma universidade pública mantida pelo governo federal do Brasil. É considerada a maior, melhor e mais conceituada instituição federal da Região Norte do Brasil. #Arte#Conhecimento (Filosofia)#Nietzsche, Friedrich, 1844-1900. A gaia ci?ncia. A partir da leitura de A Gaia Ci?ncia, pretendemos mostrar alguns elementos importantes que, nesse livro, se constituem em torno do tema da "dist?ncia". Analisando principalmente tr?s aforismos do livro, procura-se esclarecer o deslocamento no texto e no pensamento de Nietzsche da dist?ncia como Ferne, de origem rom?ntica, ? dist?ncia como Distanz. Entretanto, procura-se ao final mostrar que Nietzsche desloca o tema rom?ntico da Ferne, caracterizando-a como uma "dist?ncia art?stica", que se torna o tra?o distintivo entre a perspectiva da arte e a perspectiva do conhecimento. ; ABSTRACT: This reading of The Gay Science intends to show some important elements which, in this book, gravitate around the theme of "distance". Analysing particularly three aphorisms of the book, our goal is to clarify the movement, in the text and in Nietzsche's thought as well, from distance as Ferne, with its romantic source, to distance as Distanz. However, in the end, we intend to show that Nietzsche dislocates the romantic theme of the Ferne, taking it as an "artistic distance", which becomes the distinctive trace between the perspectives of art and knowledge. Documenta? 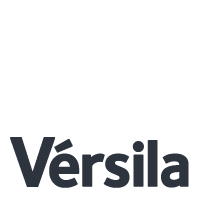 ?o e valoriza? ?o da fitoterapia tradicional Kayap? nas aldeias A'Ukre e Pykanu - Sudeste do Par? Analisa em que medida epidemias de var?ola e de sarampo ensejaram transforma? ?es nas formas de aquisi? ?o e uso de for?a de trabalho na Amaz?nia colonial, de meados do s?culo XVII a meados do s?culo XVIII, com o incremento de descimentos privados de ?ndios e a tentativa de organiza? ?o de uma rota de tr?fico negreiro para a regi?o. Trata igualmente de entender como a mortandade de ind?genas significou, no fim do s?culo XVII, uma preocupa? ?o com a defesa da regi?o e motivou o recrutamento de soldados da Madeira. ; ABSTRACT: The text analyzes the extent to which smallpox and measles epidemics provoked transformations in the ways in which workforces were acquired and used in colonial Amazonia from the mid-seventeenth to mid-eighteenth century, with an increase in slave raids on the indigenous population and the attempt to organize a trade route in African slaves to the region. It also explores how indigenous mortality rates at the end of the seventeenth century led to a concern with the region's defence and prompted the recruitment of soldiers from the Madeira islands. A valoriza? ?o do profissional da educa? ?o e a carreira docente: a experi?ncia do Governo de Frente Popular em Bel?m do Par? PURPOSE: To describe the vascular and tissue histopathological changes in seven sequential experimental liver transplantations in pigs. METHODS: Fourteen female pigs, Sus domesticus species, with body mass between 5 and 8 kg were utilized. After the end of all anastomoses of the graft implantation in the receptor, the animal was monitored for 30 minutes, and at its end one of the biopsies was collected for histological analysis. The histological criteria utilized were: lytic hepatocyte necrosis, density of septal and portal inflammatory infiltrated, sinusoidal congestion and hemorrhage. The analysis was performed separately for the portal region in zone 1, 2 and 3. RESULTS: Among the structural changes undergone by the graft, those with greater frequency and intensity were vascular congestion and steatosis, which stood out in transplantations 5, 6 and 7. CONCLUSIONS: The technique demonstrated vascular alterations represented by vasocongestion, edema and minimum inflammatory reaction. In relation to the parenchyma, was observed macrovacuolar pan-acinar steatosis, focal lytic and occasional hemorrhages, beyond the accumulation of hemosiderin in Kuppfer's cells. Preval?ncia sorol?gica e molecular de Babesia bovis e Babesia bigemina em b?falos (Bubalus bubalis) na Ilha de Maraj?, Par?